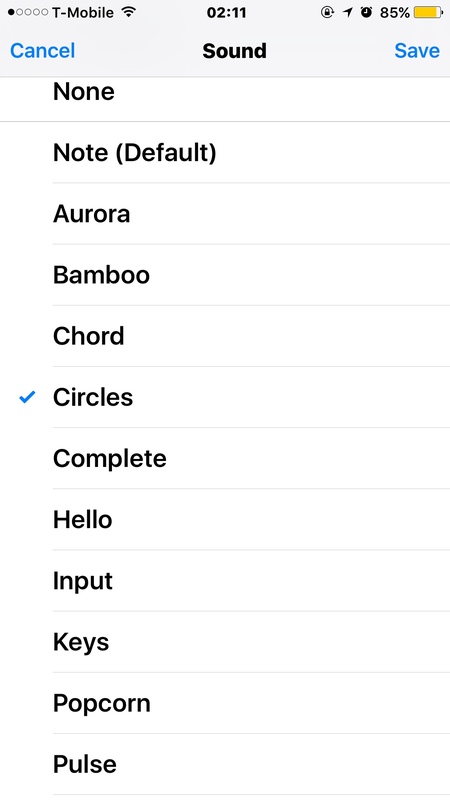 Is there a work around to change the crappy ringtones that are available within whatsapp? I don't use WhatsApp but my guess is you're stuck with whatever is listed there. 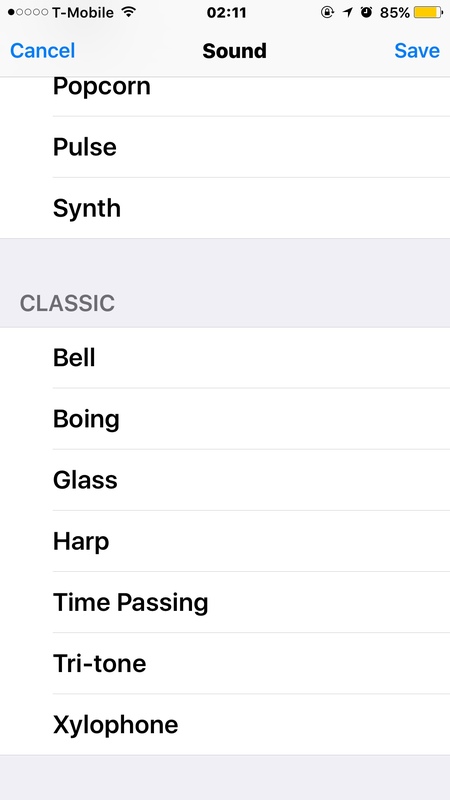 Can you choose from any of the iPhone alert tones? What selection do they offer? I don't use WhatsApp. Do we have both Jahdaa and Butterfly 2? Yes! I m here... And no there's no other selection but the ones in pic! I hoped some one came up with a solution on android u can use stock ringtones and others u made or bought etc! How many in the stock alert tones do you get? The pic looks like the stock list. It is stock list...don't like em wish I could use diff ones! There is nothing you will be able to do to chose a notification sound other than those provided by whatsapp, unless unless your iPhone is jailbreaked. But all those stock notification sound are not all bad, I'm sure you will get use to few of them as time goes by. I use the "opening" ringtone for whatsapp incoming call and really loud when the volume is up. Maybe you should try that particular ringtone and see if help to hear the incoming call sound or not.